Acadia National Park is an U.S. federal parkland including mountains, an ocean shoreline, woodlands, and lakes, preserving much of the Mount Desert Island associated smaller islands off the Atlantic coast of Maine. 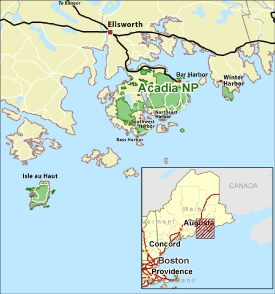 The park also comprises much of the Isle au Haut, a small island to the southwest of Mount Desert Island, and parts of Baker Island, also nearby. 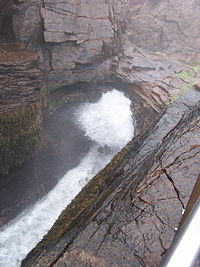 A portion of Schoodic Peninsula on the mainland of Maine is also part of the park. Acadia National Park is the only national park in New England and the first established east of the Mississippi River. It features more than 120 miles of marked trails and 17 mountains to climb. The historic Carriage Road consists of over 50 miles of broken stone roads built by John Rockefeller, Jr. which he later donated to the park. There are 18 stone bridges in the park. The Park Loop Road is 27 miles long providing access to Cadillac Mountain, and Otter Cliffs on the Park Loop Road. The park also features 20 lakes and ponds, as well as substantial tracts of land off Mount Desert Island. Acadia National Park is open year round, providing access to over 2 million visitors every year to this beautiful natural resource. Acadia National Park was created by President Woodrow Wilson, as Sieur de Monts National Monument on July 8, 1916, administered by the National Park Service. On February 26, 1919, it became a national park, with the name Lafayette National Park in honor of the Marquis de Lafayette, the influential French supporter of the American Revolution. It was the first National Park established east of the Mississippi River. 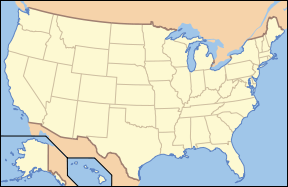 Legislation passed in 1929 authorized the government to accept additional gifts of land beyond the limits of Mount Desert Island. Almost immediately, the park was enlarged to include parts of the Schoodic Peninsula. At the request of the donor of the Schoodic land the park was renamed Acadia National Park on January 19, 1929. The park currently consists of 30,300 acres (47 square miles) on Mount Desert Island, 2,728 acres (4.6 square miles) on Isle au Haut, and 2,366 acres (3.5 square miles) on the Schoodic Peninsula. From 1915 to 1933, the wealthy philanthropist John D. Rockefeller, Jr. financed, designed, and directed the construction of an extensive network of carriage trails throughout the park. The network encompassed over 50 miles of gravel carriage trails, 17 granite bridges, and two gate lodges, almost all of which are still maintained and in use today. Approximately 10,000 acres of Acadia National Park burned in a fire that had begun on the mainland in a cranberry bog on October 17, 1947. The blaze was one of a series of fires that consumed much of Maine's forest as a result of a dry year. The fire burned for days and was fought by the Coast Guard, Army, Navy, local residents, and National Park Service employees from around the country. Restoration of the park was substantially supported by the Rockefeller family. Re-growth was mostly allowed to occur naturally and it has been suggested that the fire actually enhanced the beauty of the park, adding diversity to tree populations and depth to its scenery. The town of Bar Harbor is located on the northeast corner of Mount Desert Island. Southwest Harbor, on the western side of the fjord Somes Sound, is well known for boat-building and fishing, and has the largest year-round population on Mount Desert Island. Northeast Harbor is known for its beautiful private "cottages," yet retains a small-town atmosphere. 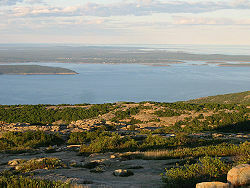 Cadillac Mountain, named after the French Explorer who went on to found Detroit, Michigan, is on the eastern side of the island. It has long been a famous tourist destination because its pink granite summit, which is one of the first places in the United States to see the sunrise. Miles of scenic carriage roads were built by Rockefeller with great sensitivity to the trees and contours of the land. 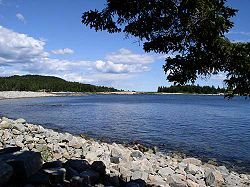 The mountains of Acadia National Park offer hikers and bicycle riders views of the ocean, island lakes, and pine forests. The National Park Service, as part of its centennial initiative celebrating its one-hundredth anniversary in 2016, has created a project to promote multi-modal park access for present and future generations. Going “car free” offers visitors the opportunity to explore Acadia by foot, bicycle, shuttle bus, or commercial tour bus. The project includes a special transportation center on state-owned land four miles north of the park, multiple-use trails to connect gateway communities with the park, and rehabilitation of historic carriage roads surrounding Eagle Lake. The geologic history of Acadia National Park stretches back in time through millions of years to the formation of the oldest rocks on Mount Desert Island and continues to the present with the persistent forces of erosion. Evidence of this rich geologic past can be seen across the island, along rocky shorelines and atop windswept mountains. The varied landscape of Acadia National Park is the result of continuing geologic processes. The weathering of granite ridges is one such activity. Large joints, or fractures, in the rock form square blocks. The joints enlarge and expand when water fills them and freezes. Eventually the rock breaks away from the cliff, leaving behind granitic rubble and bright pink scars on precipitous rock faces. The cliffs above the Tarn, south of Bar Harbor on Route 3, show evidence of this activity. Along the coast, the sweep of tides and waves continually shapes the shoreline. Rocky headlands bear the full brunt of the wind and waves of the open ocean. Salt marshes, rich with life, grow in protected tidal valleys, while beaches occupy sheltered coves. 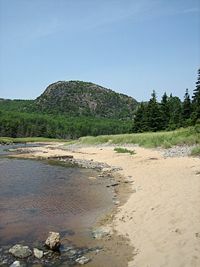 Many different types of beaches are found on Acadia’s shores. The size of material composing the beach depends on the energy of the waves that create it. Coves protected from strong wave action are made up of fine-grained material, such as Sand Beach. Beaches facing the open ocean and only minimally sheltered by rocky headlands consist of pebbles, cobbles, and even boulders. The stronger the wave action, the larger the material the waves can carry. In the case of a beach open to the storm-driven waves of the Atlantic Ocean, only the largest boulders remain. The source of the beach material varies. 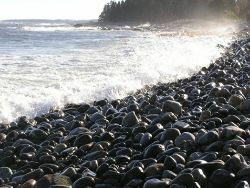 In some places, glacial debris is washed in by the waves, and finer material is removed, leaving cobbles and pebbles to be rolled and rounded by the surf. Sea cliffs can provide beach material, such as large, rounded boulders. Sand Beach is composed primarily of bits and pieces of the shells and hard parts of marine life, such as mussels and sea urchins. Acadia’s landscape is the product of great expanses of time. Massive geologic forces—mountain building, molten magmas, and huge ice sheets—formed the landscape, while the persistent forces of erosion—water, wind, and waves—ever so slowly continue to shape what we see today, leaving a record of Acadia’s geologic past written in the rocks. The park is home to some 40 different species of mammalian wildlife. Among those are red and gray squirrels, chipmunks, white-tailed deer, moose, beaver, porcupine, muskrats, foxes, coyote, bobcats, and black bears. Species that used to inhabit the island include the mountain lion (or puma) and the gray wolf. 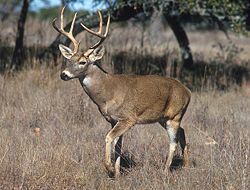 It is thought that these predators have been forced to leave the area due to the dramatic decrease in small prey and proximity to human activity. Many other marine species have been observed in the surrounding area and waters. Acadia National Park is a destination for more than two million visitors each year. There are many different facilities and attractions in the park. Popular activities include biking, hiking, rock climbing, canoeing, cruises/tours, area camping, and visiting points of interest. The rocky shoreline, wooded uplands, marshes, and a mile-long, freshwater lake offer many opportunities for a day hiking and solitude. A stop at the Visitor Center to pick up a map and park newspaper, pay the entrance fee, and watch the 15-minute orientation video. The center features a 3-D map of Mount Desert Island designed to help visitors plan their stay. Driving the 20-mile Park Loop Road featuring views of ocean, mountains, and forests. Walking the one-third-mile loop trail atop Cadillac Mountain. Ranger-led talks an trail walks. Investigating the park's Nature Center, where one can learn about plants and animals and how the park manages these resources. Exploring the park's scenic 45-mile carriage road system on a bike or horse-drawn carriage tour. Hiking on the park's historic hiking trails, comprising more than 125 miles. Visiting the west side of Mount Desert Island, including stops at the Bass Harbor Head Lighthouse, the Carroll Homestead guided trail, and either the Ship Harbor or Wonderland trails. Taking one of four ranger-narrated boat cruises to learn about sea life, island history, etc. Enjoying tea and popovers at the Jordan Pond House, a tradition for more than a century. All links retrieved May 3, 2018. 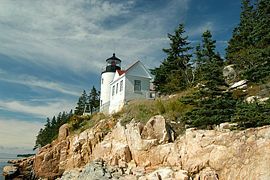 History of "Acadia National Park"
This page was last modified on 29 January 2019, at 23:01.